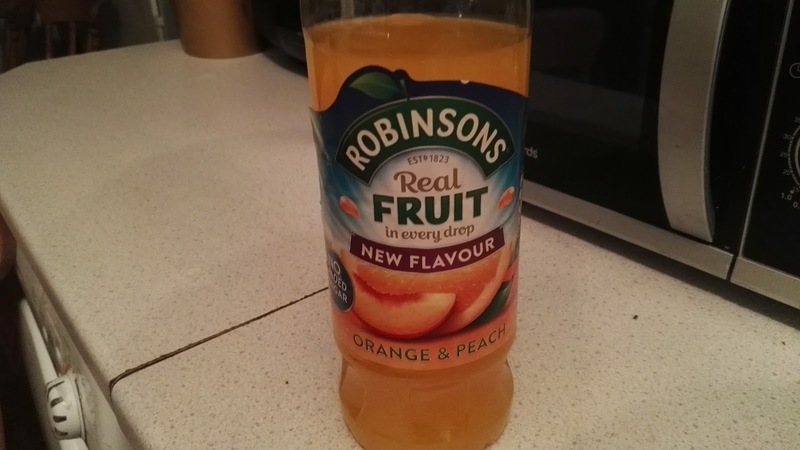 I saw on a bottle of cordial in our kitchen a label saying "new flavour". Woah! New flavour?!? They've invented a new flavour? That's truly amazing, and I think not overdue. With science and technology nowadays I think that we're far too stuck with old flavours based on current foods and fruits, we should be experiencing all kinds of weird flavours which aren't like anything else we've ever tasted. So, what is this new flavour? So, not a new flavour, just two old ones combined. It's like me saying that my shirt is a new colour, by combining green and blue. Perhaps I'll name it bleen. Orange & Peach, It's not even two unusual flavours. You always get apple and blackcurrant, and orange and peach, or orange and pineapple. manufacturers never mix the two lead fruits, you never get orange and apple together, and heaven forbid the secondary fruits get a bottle of their own - blackcurrant and peach? Get outa town!!! I'd love for them to go further, let's have some proper fruit mixtures. Lychee and lemon? Cherry and Quince? Gooseberry and Apricot? Coconut and mandarin! Let's see some weird fruits! And why stick to fruits? Steak and Lettuce? Rabbit and Kite? Marmoset and White House? Or, obviously - Gin and Tonic! I am with you, Mike. I have tried lychee and lemon. It was a lemonade mix. Really thirst quenching. As for G&T's we can have those anytime of the day. How about plum and grape? Plum and grape sounds nice! I absolutely love lychee, along with mango and ramboutan they're my favourite fruit flavour. Pomelo are good too. Lol. I love guava juice and orange juice. So combining the two will save money on having to buy them seperate everytime. Never overlook the inherent value of "scotch and rocks." Many times the world was pulled from the brink of disaster by a liberal dose of "scotch and rocks." Bought to you by the fine people of "scotch and rocks, corp. LLC." Do you know, I haven't had a scotch on the rocks for a while Tim, time to rectify that. Science should be making up flavours we've yet to imagine. By knowing which taste buds to stimulate I'm sure they could have some amazing results. Absolutely! It'd be great for food producers, hundreds of new lines to create with new mind-blowing flavours. I got some american Jell-o once, and it had a label on saying that it was "artificially flavoured", but it was butterscotch flavoured. I was hoping for something far more adventurous!